I've had to change my entire mindset and training routine for this race. Usually, I favor pre-work runs so I can get them over with before my head figures out what I'm doing. Since the sun doesn't rise until later in the Spring, I've switched to evening runs so I can hit the trails. 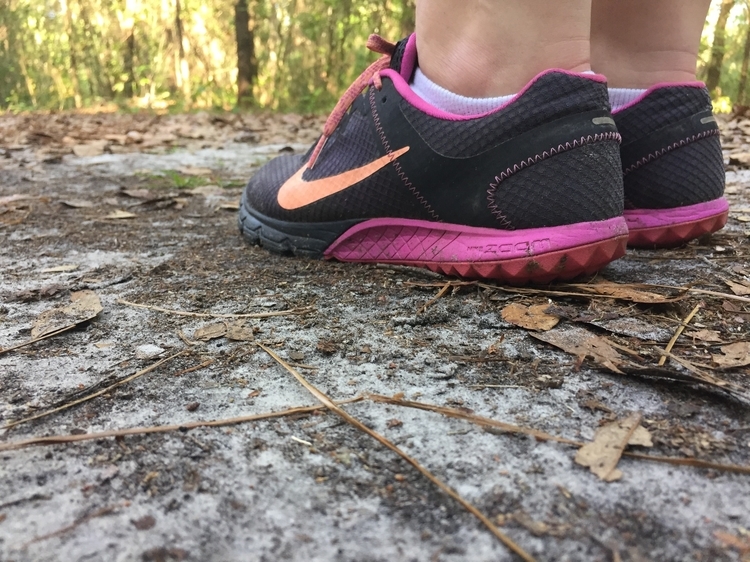 There are positives and definitely negatives to running in the woods (so many mosquitos), but since I have no choice but to run my miles on the trails next week, I'm focusing on 3 reasons why you should embrace the trails. 1. You're forced to slow down. I constantly find myself staring at the ground so I can make sure I'm not going to trip over a root. And even without the extra distraction of watching my footing, there's an uncertainty of what the trail looks like ahead, with varying elevations and winding paths. Once I decided to ignore my running times and just focus on pounding out the miles themselves, I was able to appreciate the challenge the trails offer that you can't get from a treadmill indoors. 2. It takes a different mental mindset. It's easy for me to get on the treadmill, put my headphones on, and get distracted by Spotify or the Gilmore Guys podcast. Not for this run. Ragnar advises against using headphones and I can't spare the cell phone battery life during the race weekend, so I've been training without anything playing through my ears. No music beat to match my pace to, no witty banter to distract myself. I had to reshape my mindset to not rely on the distractions while I run and focus on my own breathing. 3. The peace & quiet. There is nothing surrounding you out on the trails, except for the occasional hiker or fellow runner. No distractions from what you're doing in that moment. I always take the opportunity to disconnect from the world; to clear my mind and just appreciate all of the beauty in the woods, the strength I feel in my legs as they move me forward, and the bright sun lighting the path ahead of me.